Florida State University scientists who have developed a unique computer model with a knack for predicting hurricanes with unprecedented accuracy are forecasting an unusually active season this year. Associate Scholar Scientist Tim LaRow and his colleagues at FSU’s Center for Ocean-Atmospheric Prediction Studies (COAPS) say there will be an average of seventeen named storms with ten of those storms developing into hurricanes in the Atlantic this season, which began 1 June, and runs through 30 November. The historical seasonal average is eleven tropical storms with six of them becoming hurricanes. The COAPS model, unveiled just last year, is one of only a handful of numerical models in the world being used to study seasonal hurricane activity, and it has already outperformed many other models. The model uses the university’s high-performance computer to synthesize massive amounts of information including atmospheric, ocean and land data. A key component of the COAPS model is the use of predicted sea surface temperatures. The 2009 forecast, the model’s first, was on target: It predicted a below-average season, with a mean of eight named storms with four of them developing into hurricanes. There were nine named storms with three that became hurricanes. The model’s 2009 forecast, plus its hindcasts of the previous fourteen hurricane seasons — this is when the data that existed prior to each season is plugged into the model to reforecast the season and then compared to what actually occurred — really show the model’s precision. 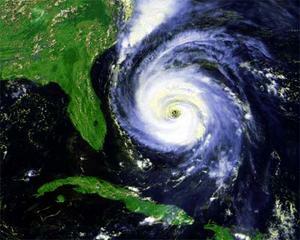 From 1995 to 2009, the model predicted a mean of 13.7 named storms of which a mean of 7.8 were hurricanes. In reality, the average during this period was 13.8 named storms with a mean of 7.9 hurricanes. How the oil spill in the Gulf of Mexico will affect the development of tropical storms this year is a question that scientists are still trying to figure out, LaRow said. The oil on the ocean surface can diminish the amount of surface evaporation, which would lead to local increased ocean temperatures near the surface, but LaRow said he has made no adjustments to the model to account for the oil that continues to gush from an underwater well. COAPS researchers spent about five years developing and assessing the numerical model before putting it to the test with its first real-time forecast last year. Numerical models require major computing resources in order to make trillions of calculations using the equations of motion along with the best physical understanding of the atmosphere. By contrast, statistical models, such as the one that produces Colorado State University’s annual forecast, use statistical relationships between oceanic and atmospheric variables to make a forecast. COAPS received a $6.2 million, five-year grant from NOAA in 2006 that has been used, in part, to support the development of the model.